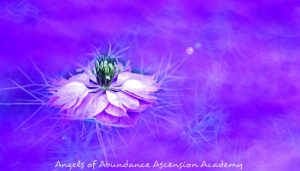 The Flame of Mercy, Love and Compassion (Violet Flame) is available to us this month. From October 15th through November 14th, Kwan Yin’s retreat, the Temple of Mercy is open for all of us. This is a mighty gift to us my friends. We are in need of mercy, love and compassion as never before. My heart is unsettled by the caravan of 4,000 Honduras migrants that are insisting on a new way of life and marching north. So much so that they would leave everything behind except what they can carry and walk with their children to the United States, the perceived land of freedom. That walk is 2,558 miles or 4 117 km. Join me in a chamber of prayer on Sunday, October 21st, at 1PM PDT. They have been treated with the full spectrum of humanity from cheers, gifting of food, water and shelter to being policed with violence and tear gas. This is a freedom crusade for all of us. The south has always been the servant of the north. It’s time for this to change. We are equal and we are One. I am calling for a caravan of Light Workers to meet this Caravan, and all that it represents, in consciousness with mercy, love and compassion with the help of Kwan Yin and her entire team of Ascended Masters, Angels and Elementals. We are the ascending masters that need to CALL this Flame of Mercy, Love and Compassion into the world. It won’t happen without us. I’m calling the Clan of the Mama Bear into action. The Clan of the Mama Bear is a collective of Lightworkers representing the Divine Mother. Anyone that is called to bring int the energies of the Divine Feminine is a part of the Clan of the Mama Bear.. As Her emissaries on the Earth, we hold the High Watch for mankind’s Ascension in the Light. We hold the Reverence for all of Life. Join me for a Chamber of Prayer with Kwan Yin and her entire team, Sunday at 1PM PDT. You will have a chance to speak into the field of mercy if you choose to. You are welcome to just hold the space. You’re presence LIVE is so valuable to increase the momentum of this mighty Flame. This is a free call. If you are already a member of the Clan of the Mama Bear you don’t need to register again. The call in info is already in your inbox. If you want to begin now, please share your prayer below. May all sentient beings be blessed and free of suffering. May all be guided and protected by mother ~father God. May all know they are loved. May all welcome with outstretched arms~the abundance that is their birthright. Amen , Amen , Amen.